Joseph A Hynds has been practising across the full spectrum of IP law at Rothwell Figg for over 25 years, with a focus on patent infringement litigation. Mr Hynds has particular expertise in Hatch-Waxman litigation and related issues, having litigated numerous cases and serving as lead counsel in many. He has also participated in numerous appeals to the US Court of Appeals for the Federal Circuit. Mr Hynds handles cases covering a broad range of pharmaceutical, medical device, biotechnology, telecommunications, chemical, e-commerce and electrical technologies, among others. 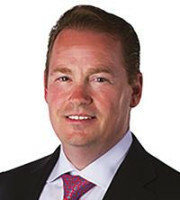 Mr Hynds has been lead counsel in numerous inter partes review and covered business method review proceedings before the Patent Trial and Appeal Board, and he has significant experience with patent interference matters before the US Patent and Trademark Office (USPTO) and in the federal courts. A former patent examiner with the USPTO, Mr Hynds has notable skill in the preparation and prosecution of patent applications in a wide variety of technical areas. Mr Hynds has wide-ranging knowledge of all aspects of patent litigation in US district courts and before the US International Trade Commission. He has substantial experience in preparing patent infringement and validity opinions; handling transactional matters involving IP rights; and counselling clients on patent strategies, due diligence and portfolio development, valuation and acquisition. Since 2010 Mr Hynds has been identified as a leading attorney in Washington DC by The Best Lawyers in America©, and he has been listed annually in the Washington DC Super Lawyers list since 2012. He is also recognised as a Life Sciences Star by LMG Life Sciences in the area of intellectual property. Mr Hynds received his BA in physics from Wabash College in 1986 and his JD with honours from The George Washington University Law School in 1991. Mr Hynds was admitted to the Bar of the Commonwealth of Virginia in 1991 and the District of Columbia Bar in 1993.